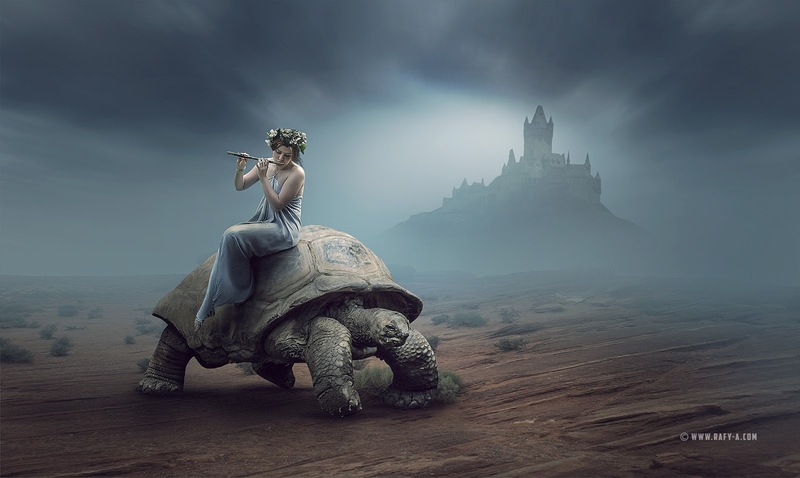 Making girl & tortoise photoshop concept art photo manipulation scene effect in photoshop cc 2015. A really nice concept, you made Rafy ! One more ! See you on Youtube for the rest ! Keep it up !! !